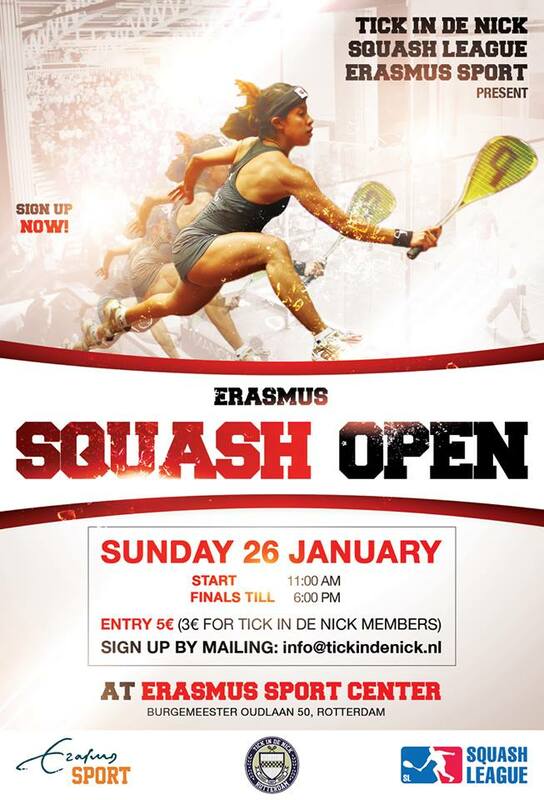 Tick in de Nick is Proud to present the first Erasmus Squash Open. So prepare to step your game up on Sunday the 26th of January from 11:00 untill 18:00. If you have any question or if you want to sign up, then please send an e-mail to info@tickindenick.nl before the 21st of January. Costs: just 3 euro’s for our members (includes refreshments), and 5 euro for non-members.